This web page took four to five hours to scan, research, and design. Thank you for supporting the Virtual Steam Car Museum! 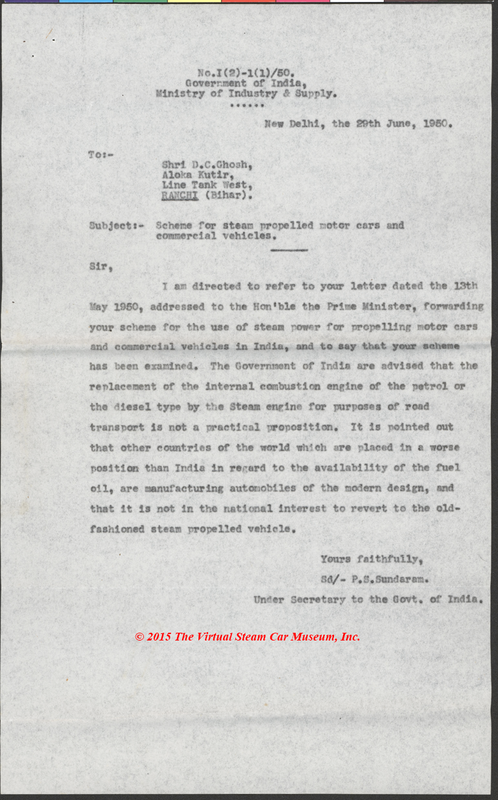 In July 1950, D. C. Ghosh of India wrote to Floyd Clymer about building steam cars in India. 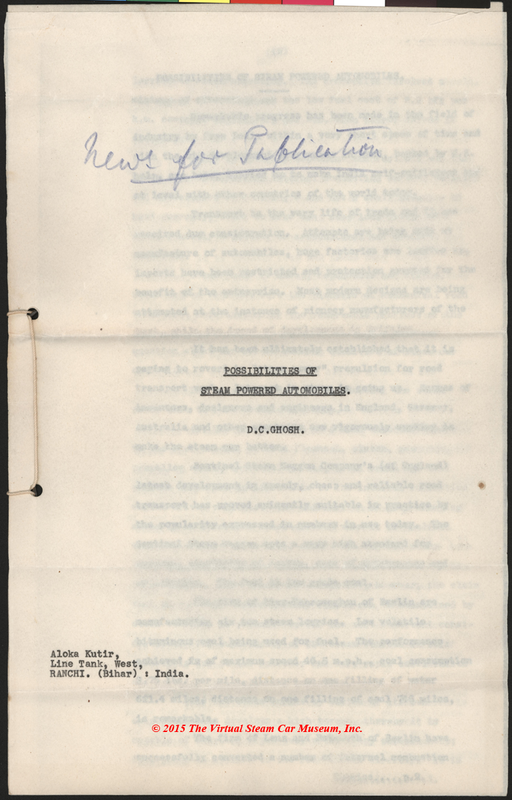 This packet of information is all that is known to have survived. 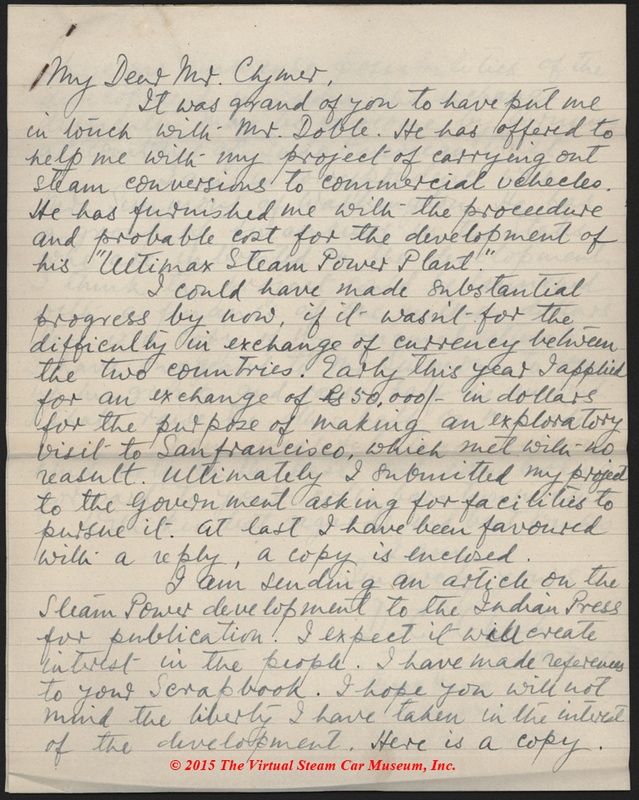 On July 12, 1950, D. C. Ghosh sent this letter to Floyd Clymer about his effort to build steam cars in India. 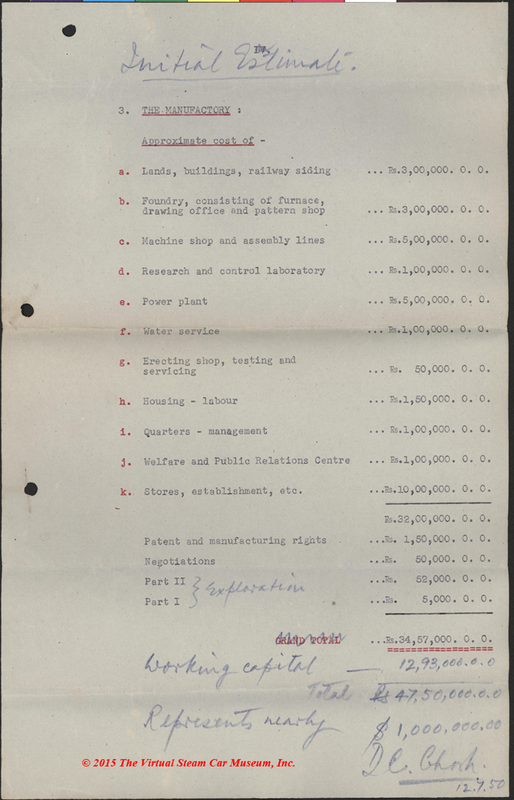 Ghosh and read Clylmer's book of steam car material, and had approached the Indian Government for funding, having had contact with Abner Doble. 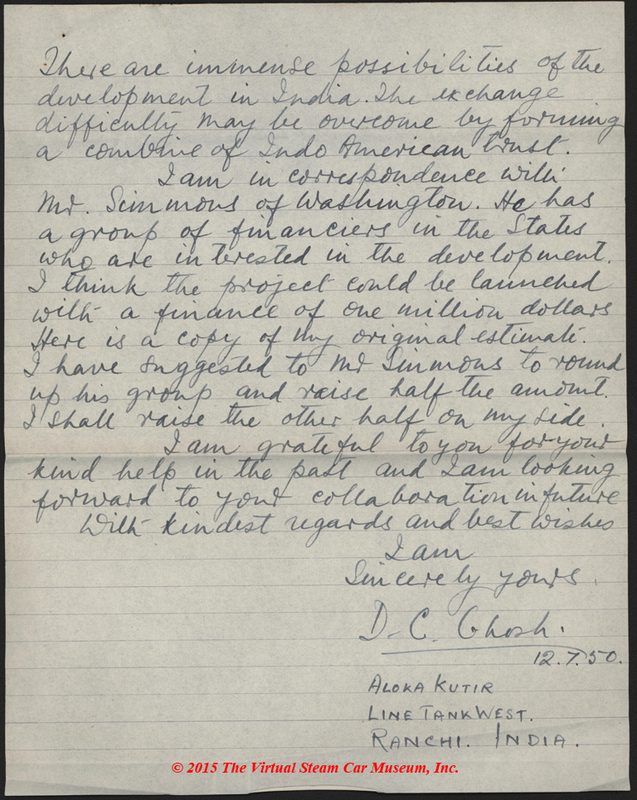 Ghosh sent Clymer a copy of his letter to the Indian Government, along with a one-page estimate of initial costs. Ghosh wrote an article for the Indian press, quoting Clymer. 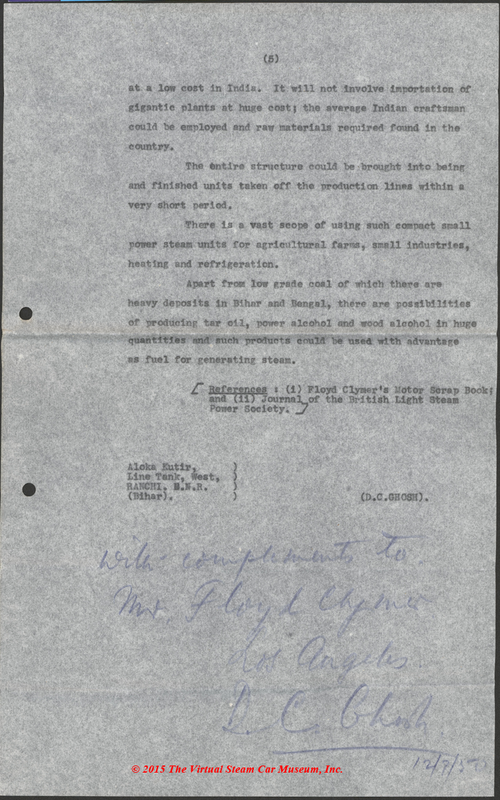 He sent a copy of the article with compliments to Clymer. Ghosh's article is held together with an ingenious string paper clip. Nothing to do wtih steam cars, but interesting and fun. Life is too short not to have fun!